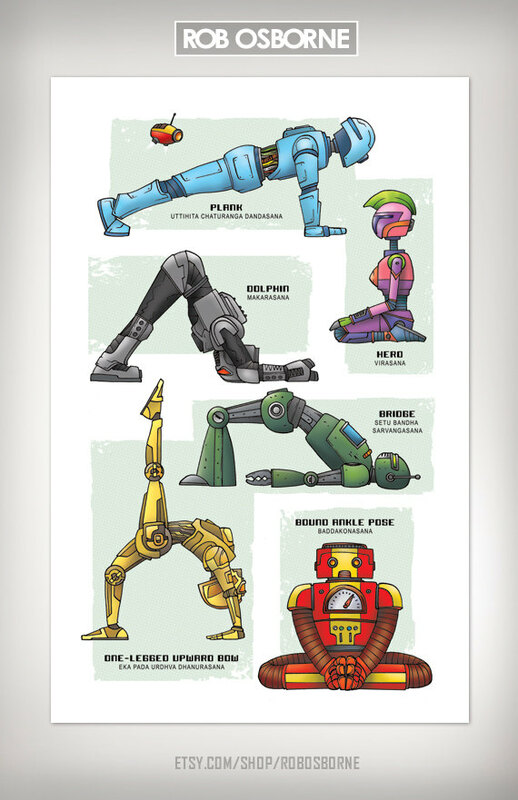 If you've been following the goings on in the yoga world, you most probably have already seen the super awesome Star Wars yoga art created by comic artist Rob Osborne. And if you were disappointed to find that it's been pulled out of Osborne's Etsy page (as per Lucas Film's request), you'll be glad to know that this pop artist has other yoga-inspired creations that you'd want to get your hands on. Right now you must be thinking, "what could possibly come close to being as awesome as Star Wars characters doing yoga?!" 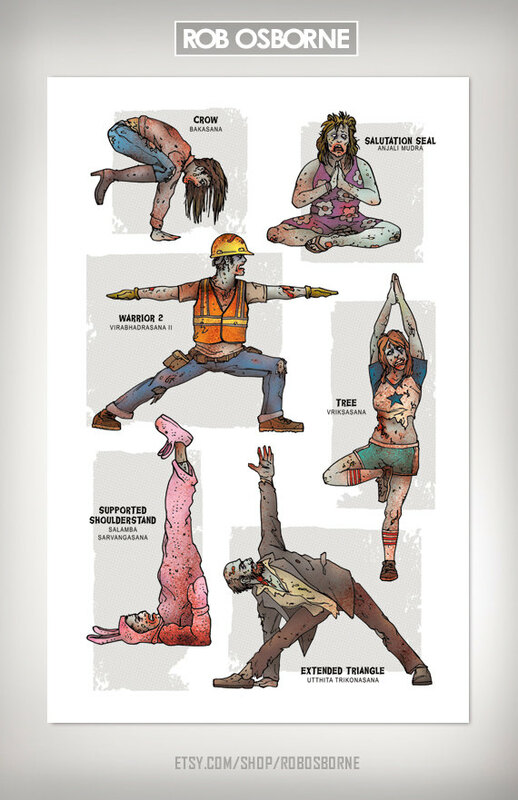 Well...zombies, pirates, ninjas, and robots doing yoga, that's what. These yoga-themed pop art prints are still available for sale on Rob's Etsy page. Heck, you'll even find a Sci-Fi version, as well as superhero-themed art. 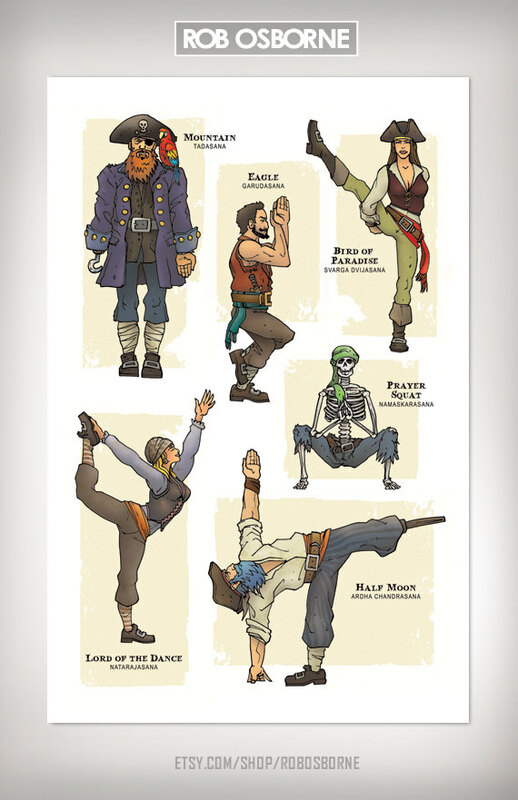 So if dogs doing yoga aren't your thing, and you're in dire need of cool yoga art, here's a sample of what you can expect from Rob's creations.